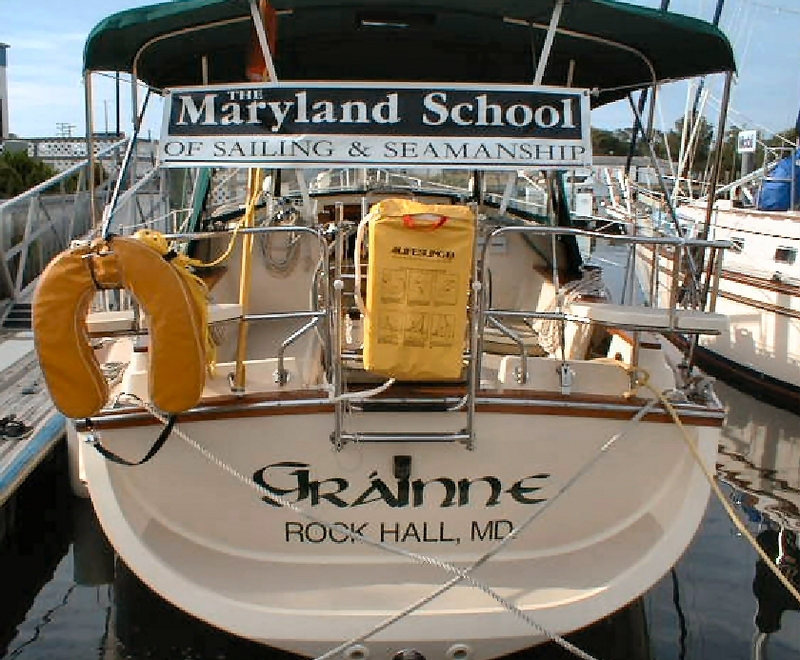 Right after purchasing Gra’inne in 1998 we contacted Tom Tursi, owner of the Maryland School of Sailing and Seamanship, and arranged to take all of the American Sailing Association training classes. We used our boat as the “Training Vessel” for all of the classes to include several Delmarva circumnavigations and a round trip to Bermuda. Tom worked with us as we outfitted the boat for offshore. Rigging, safety gear, communications, first aid, weather, and offshore procedures. It was especially nice to not only to take the training on our boat but having fitted all necessary upgrades, we were familiar with every addition made, location of every line, etc. We practiced docking and boat handling in every class – driving instructor David Appleton nearly crazy, not only with our boating skills, but also with our choice of music – Taj Mahal and the Hula Blues Band – “Coconut Man“. They say that generally a husband is not a good teacher and in my case that was (is) true. Lesley learned line handling, weather, marlin spike seamanship, and was very comfortable being aboard. 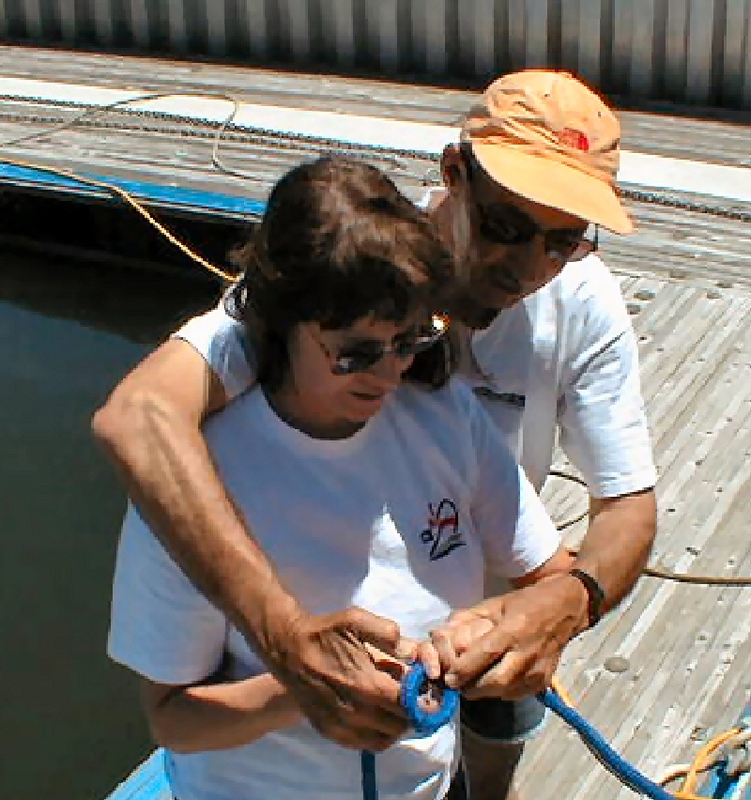 Here’s a photo of Lesley “helping” Tom with a bowline! 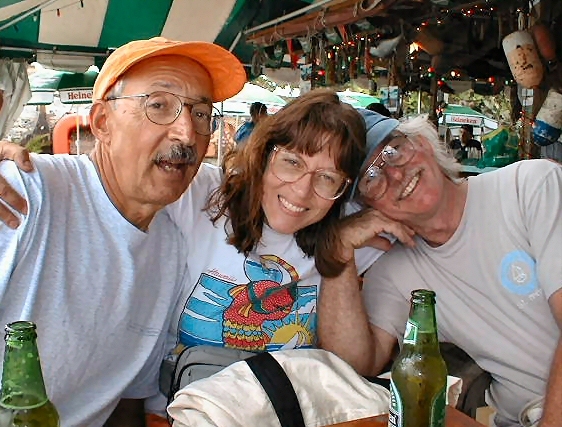 Caught in the act: After arriving in Bermuda on the first leg of our Ocean Training Class, Lesley and I relaxing with Tom at the White Horse Tavern in Bermuda.